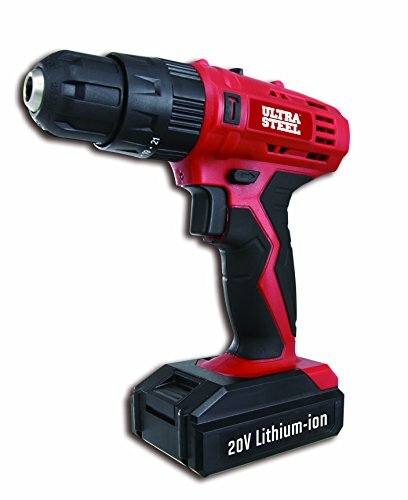 The Ultra Steel 18V Ni-Cd Lithium 3/8 inch 2-speed cordless impact drill is built to last. This 18V cordless drill is equipped with a 3/8 inch chuck and a double-end drive bit. The Ultra Steel drill has a built in torque indicator scale and torque regulation ring. This lightweight and compact drill also comes with a LED work light so you have better visibility on your projects. The rubber covered handle allows for a strong and more comfortable grip while working on those tough jobs. This drill is built to last you project after project. It includes a 18V li-cd battery and charger. If you have any questions about this product by Ultra Steel, contact us by completing and submitting the form below. If you are looking for a specif part number, please include it with your message.